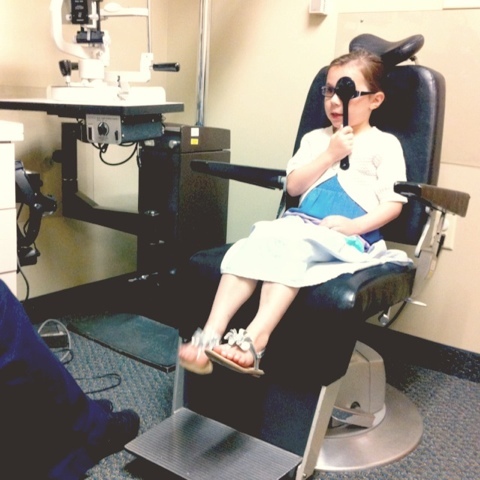 Parker had her follow-up eye appointment yesterday. And it went well! If you'll remember...(in a nutshell)....we went to the eye doctor in February. She was only slightly farsighted, but because her right eye was turning in....we decided to try out glasses to see if it would help to straighten out that eye. If the glasses did not correct the turning in, then we'd consider surgery. And because we got such a good report. And because we were just down the street. And because i can't help myself. Glad to hear that her eyes were not turning in too! 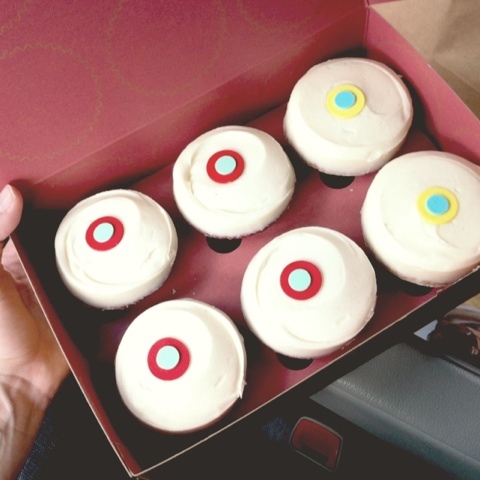 And yum on the sprinkles! Can't go wrong with those although the ones Kristin had Sat. were very good too!